It is that time of the year that football fans love the most. With football clubs in Europe’s top five playing almost every three-four days, there’s been always one game or the other to see on television. From leagues to the UEFA Champions League, Europa League and the cup games, the last couple of days have served us more than enough football than we could have ever asked for. Talking about cup games, Tuesday and Wednesday served us the best of cup action from all around Europe, save Italy. From the Copa del Rey, DFB Pokal and the Carabao Cup, it was excitement galore the past two days. Generally speaking, there’s something about cup games that cannot just be figured out. Big teams set out to play teams from the lower divisions. Most people expect that the bigger teams will run the smaller ones over. At the end of the day, the smaller teams beat the “big boys” and send them packing out of the competition. While there were no surprises in this last round of Carabao Cup games, there was the slight surprise of Wolverhampton Wanderers being the first side to keep Manchester City at bay this season. Then there was the comeback at Wembley that got most fans singing Wiz Kid’s song, “Ayew (Are you) gonna dance…” These results made the just concluded round of Carabao Cup games feel pretty strange. Most teams see cup competitions as an opportunity to rest the main players and give the fringe ones a shot at glory. 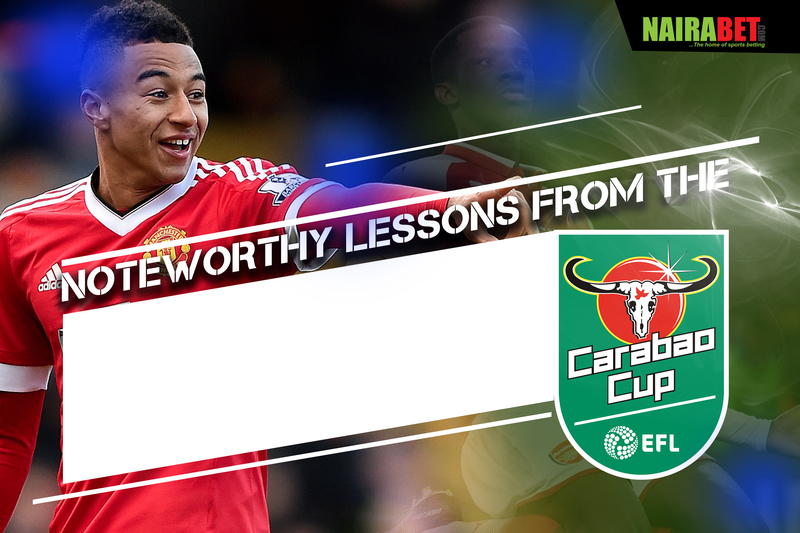 In the EFL Cup – also called Carabao Cup – some players took their chance and made sure that the football world was singing their names after their games (word play intended). In the Arsenal game, it was all about a teenager, Eddie Nketiah, the young Arsenal ‘goalscoring machine’ who Chelsea let go. Then there was Claudio Bravo’s goalkeeping heroic and the Ayew turn around. After the whole drama on Tuesday and Wednesday, there was even more drama on Thursday. Being the day that was selected for the quarter-final draws, fans all over the world got more than they bargained for. The draw got delayed by some hours. This got so man\y fans wondering and social media was agog with fans wondering why the draws were delayed. Which of these teams will make the most of their fixtures and make it into the semi-finals? Arsenal vs. West Ham is surely one to look out for, same as the Leicester game. But, which of these games are you looking forward to? Share your thoughts with us and let us get talking.